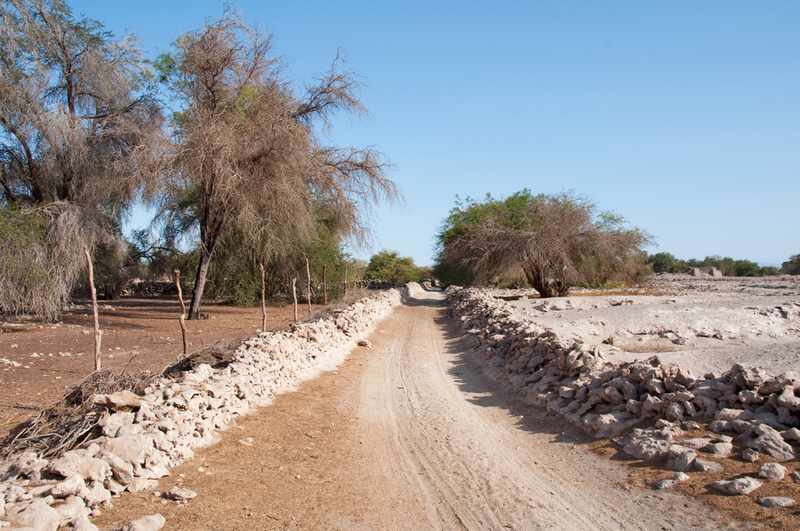 This reserve covers 24.000 hectares of artificial plantations of Tamarugo (Prosopis tamarugo) and it’s located at 70 km. inland from Iquique, in the municipalities of Huara and Pozo Almonte. It was created in 1987, and is divided into 3 lots: N°1 in the Zapiga sector, N° 2 in the Native Forest of La Tirana (the biggest one) and N°3 in the Pintados sector. The Tamarugo is related to the Carob and other species which grow in similar habitats, characterized by a high degree of adaptability to dry soil conditions. The plant captures moisture from the atmosphere, and from subterranean water through its main root. It can grow to approximately 15 mts. high and the trunk can reach a diameter of more than a meter. It produces a protein-rich fruit, which is generally used for cattle feed. The wood is highly sought after for furniture production. When the Spanish arrived to conquer this part of South America, it was covered in Tamarugo forests, but the excellent quality of the wood caused its almost total extinction, especially at the height of the nitrates epoch. There is very little wildlife in the area, and most of the species which can survive the dry conditions are reptiles, such as snakes and lizards. Other species include carnivorous mammals such as the chilla fox, the culpeo fox and the quique. The rodents which may be found are the Tamarugal tuco tuco, the Andean mice and big ears lauchón. In order to protect the Reserve a camping and picnic area has been created, where you can engage in a number of activities. The main office is 25 km from Pozo Almonte.